or any special gathering of friends. 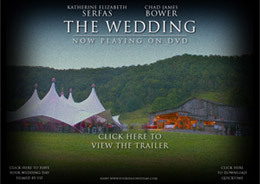 View the trailer of a 2005 wedding held at Claxton Farm "The Wedding"
View 360° tour! (1.3Mb) Scroll left and right to see the panormaic view! 360° unobstructed mountain views! Private setting with all the amenities!